When we think about the glamorous silhouettes of the 1940s, we usually picture tailored dresses, cinched waists, classic makeup, soft curls and feminine accessories. 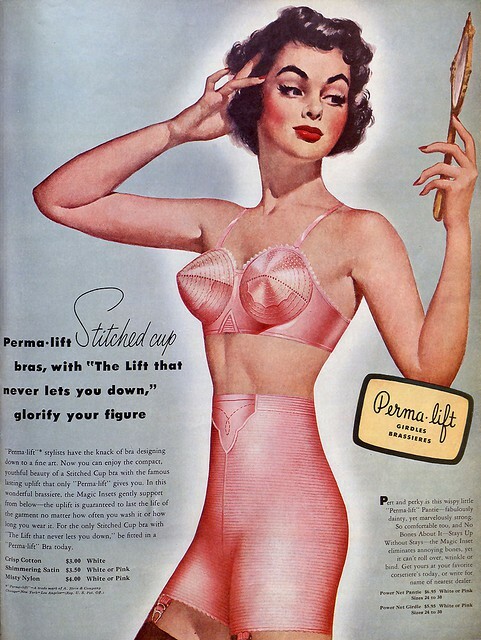 But we often forget the ingenious corsets that were used to accentuate the hourglass figure. 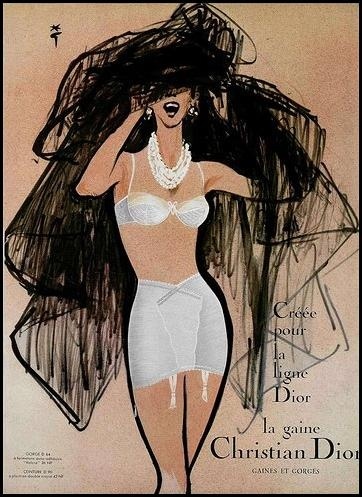 Here are some delightful illustrations of seriously chic undergarments. A constraining, yet timeless elegance. Aren't you glad comfort can also be stylish nowadays? 2 comments on "Vintage Torture"